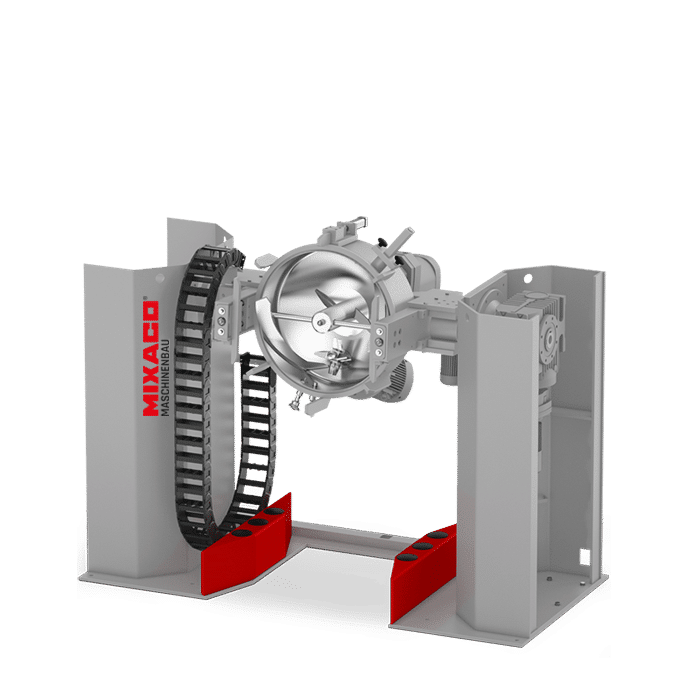 The MIXACO container mixer Multitool™ is ideal for the careful mixing of temperature-sensitive materials. An innovative mixing concept with new tools and a special process enables mixing without temperature increase. The MIXACO container mixer Multitool™ is ideal for the careful mixing of temperature-sensitive materials. An innovative mixing concept with new tools and a special process enables mixing without temperature increase. 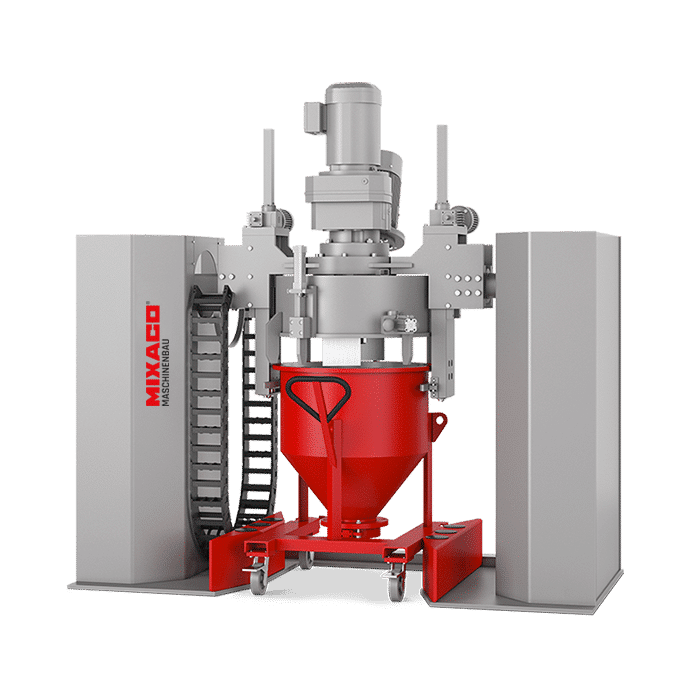 Specially-designed tools create different material flows in the mixing chamber, significantly reducing frictional warming of the product. The temperature increase is only one-tenth of that found in conventional mixers. 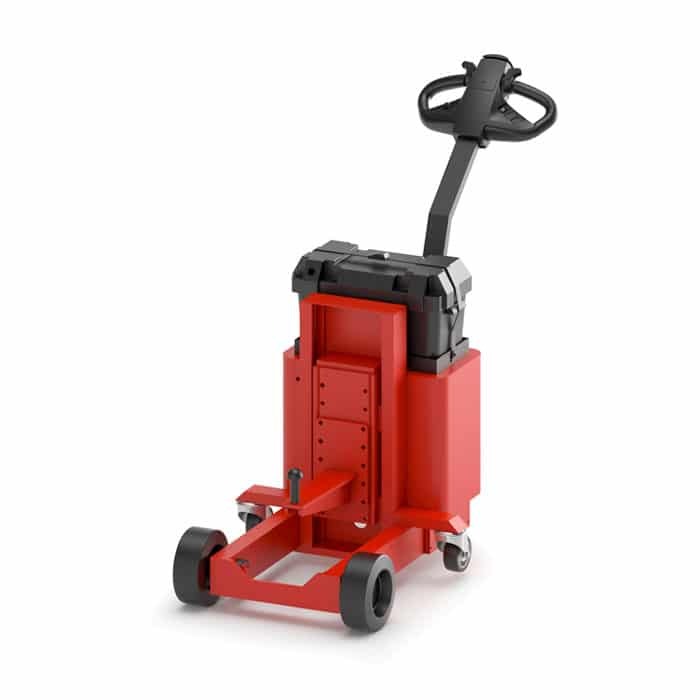 The outer mixing tool, or conveyor tool, continually transports material (primary flow) into the operating area of the chopper drive, which creates a localized but highly dynamic secondary flow. 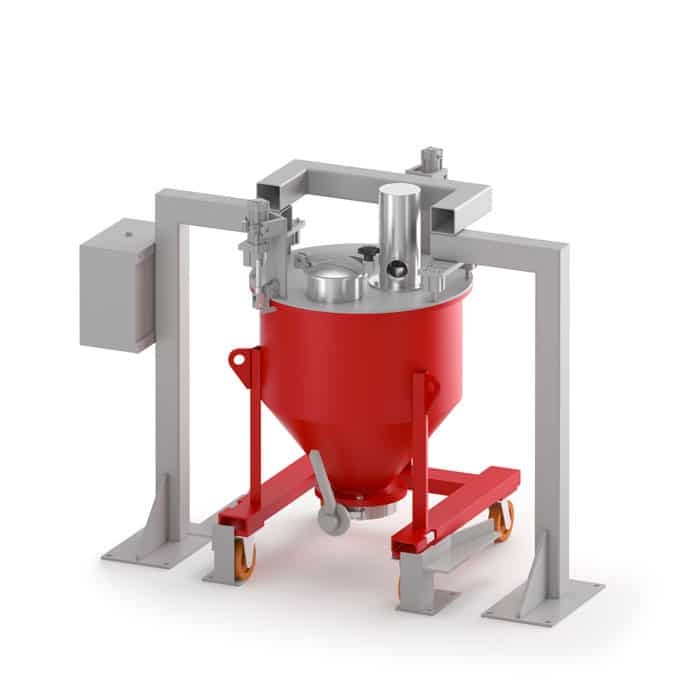 The combination of mixing flows ensures that rapid mixing and optimum dispersion are achieved. 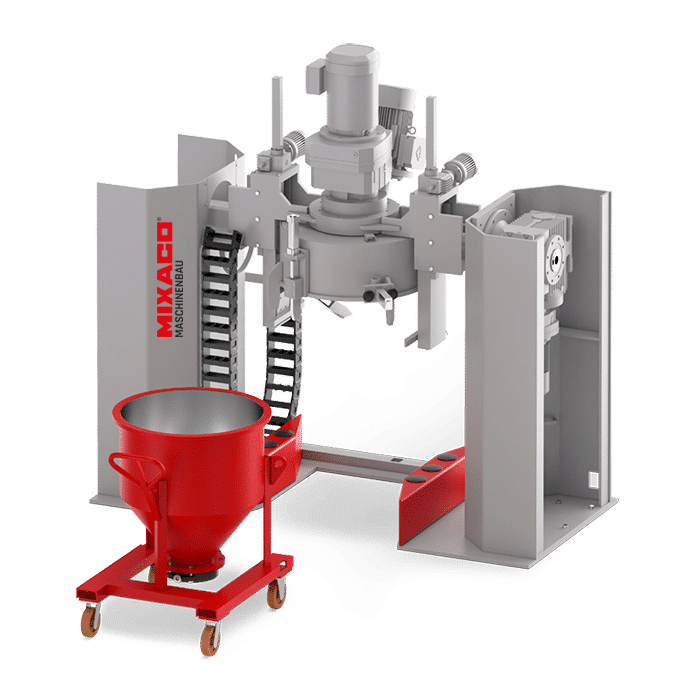 The MIXACO Multitool™ is a container mixer with numerous benefits for internal logistics and production workflows, as it can be seamlessly integrated in work processes. The following mixing processes are possible with the MIXACO Multitool™. Our specialists will work with you to determine the exact technical specifications and control parameters. 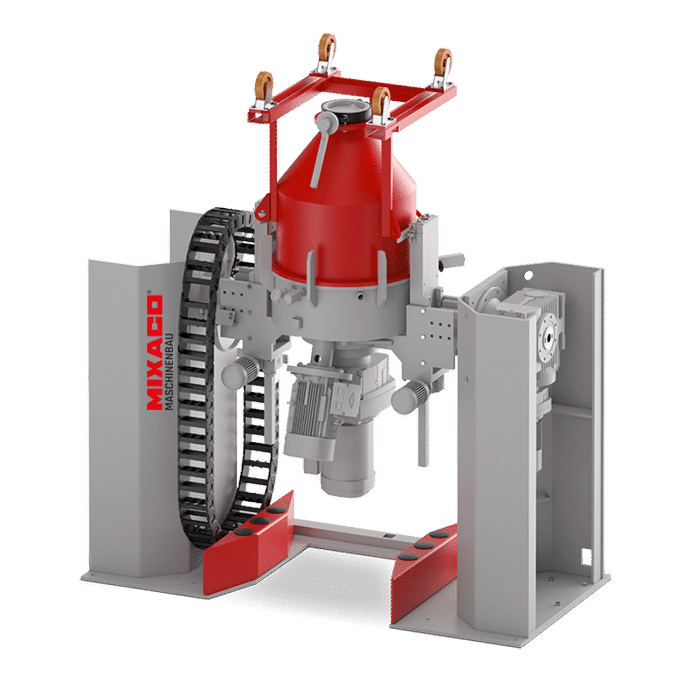 The revolutionary mixing system of the MIXACO Multitool™ mixer opens up new horizons for the manufacture of a large number of products. The individual requirements and careful processing of raw materials are guaranteed at all times. 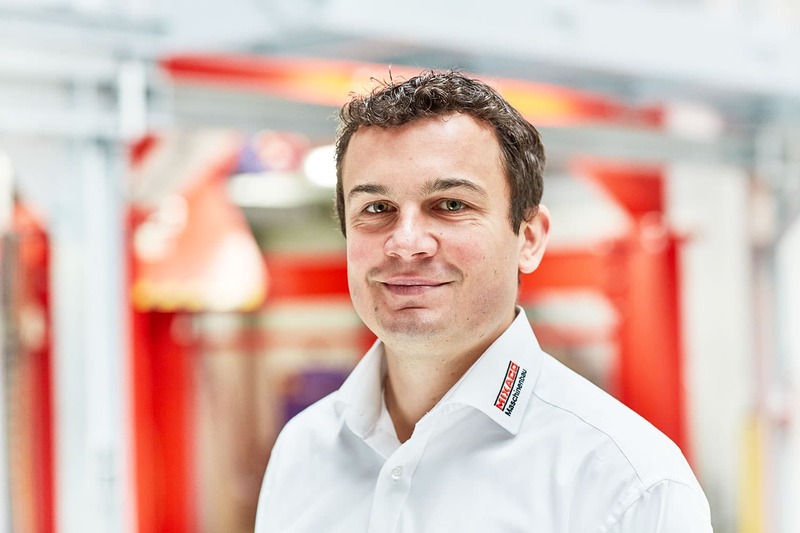 Our specialists will be glad to advise you on the optimum technical configuration for your product solution. The MIXACO Multitool™ can be extended in many different ways. Custom-built adaptations can also be developed to your individual specifications in consultation with our engineers. Please do not hesitate to contact us for more details. The MIXACO Multitool™ can be extended in many different ways. 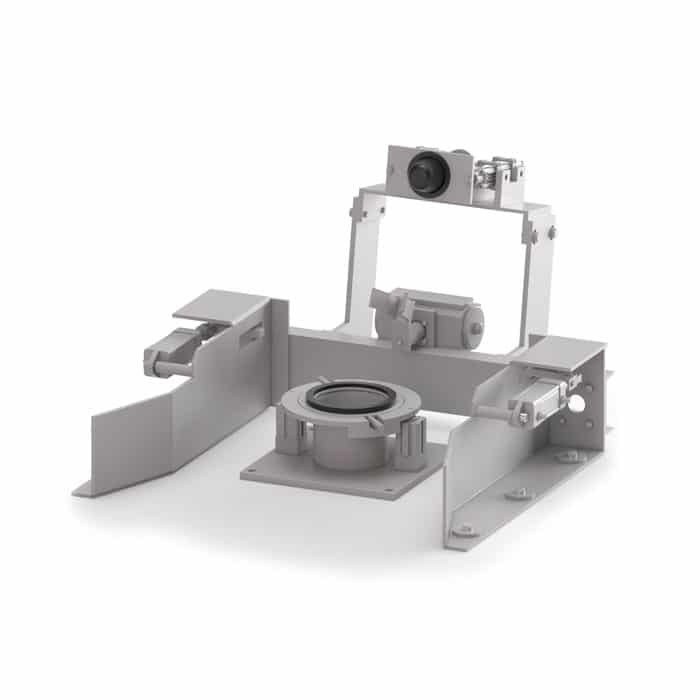 Custom-built adaptations can also be developed to your individual specifications in consultation with our engineers.